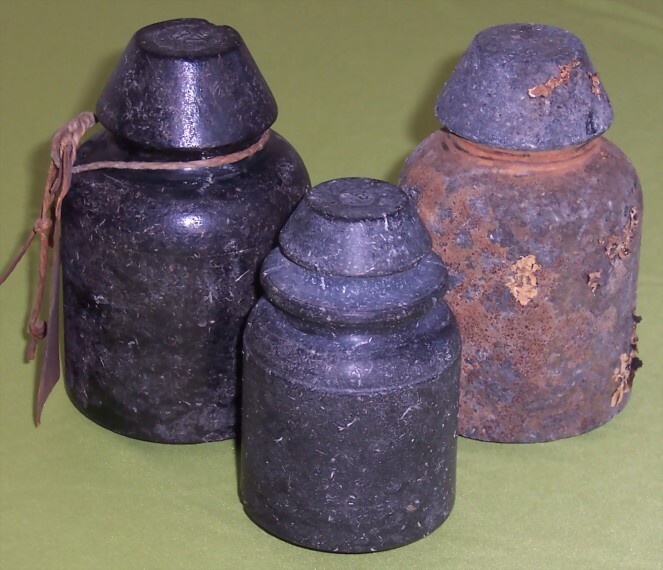 Three insulators made of “Telenduron” a composite material. At the left one used by “The Western Telegraph Co.” in Uruguay, marked 2B5. At the center marked 2B, used in Argentine lines. At right marked FCdelE (Eastern Railways – Uruguay).